#4 in all of Japan. Your trip to Tokyo will most likely take you to Ueno Park. Maybe you were just at the zoo watching the monkeys do it, or at the National Museum checking out the katana swords. If it's March, you were probably doing the hanami thing in the park, and you are most likely drunk. Whatever the situation, it's ramen time! First thing you notice is the noodles. We've got some angel hair pasta going here. Super thin. 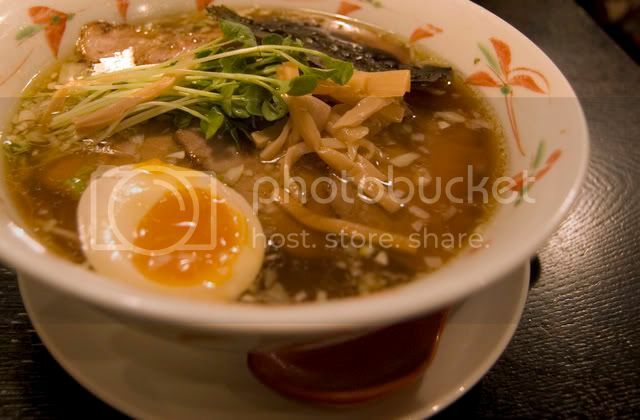 Maybe you recently went to Ramen Jiro, and you are having doubts as to whether a human can function after eating ramen. Fear not, we've got a nice light soup, nice thin noodles, nice healthy toppings. It's nice. Swell even. What to do in this area? It's Ueno Park! This place has about 8 museums, a zoo, a giant pond, and a homeless city. I've written about a few of the museums before. Hit up Ameyoko as well, it's this crazy shopping street. This is the place to go if you want to hear shop sellers having a screaming competition on the street. You'll also find shops selling $20 purple fur lined parkas next to shops selling $500 purple fur lined parkas. And for some reason a lot of Native American goods. One more spot, though it's not as cool as it should be. On the east side of the station, there is Tokyo's motorcycle district. It's where I bought mine last year. Lots of shops, but for apparel or accessories, just go to one of the big motorcycle stores like Ricoland or Naps.